Carl Lewis treadmills offer a wide range of treadmills to its customers. It also offers other fitness equipments such as exercise bikes. It is also well known brand in this industry to provide Olympic quality workouts. The treadmill fitness equipments it offers are also of low prices which normally start from £ 215. Before launch of Carl Lewis treadmill, it has been almost impossible to get them at lower rates. However, with the launch of treadmills from Carl Lewis has paved a way to customers’ to make access to low budget treadmills. This brand of treadmills is available with numerous models with varying specifications which suits to anyone whether he is a new one to handle these equipments or an athlete who works out exercises routinely. It has dramatically increased his market value in short period of time. Carl Lewis Treadmills has recently launched MOTP 12 with sophisticated technology used in it. It fits to those who are going to make their body in fine shape. It helps lessen weight of body, if your are having excess fat. You can run at maximum speed of 16 kmph. It is having a unique feature that it ca be inclined at varying slopes. It also offers varying ranges of speed to walk or run. You have also options to decrease speed instantly. It has both options whether to use it manually or to use motor power to walk or run on the belt. Power of motor can also be changed as per your requirement with the help of button. You can also measure and save important data like fat of your body to analyze it.Carl Lewis MOTP 12 is one of the most feasible options to consider if you are going to purchase treadmills. It can also be assembled easily. It can also be kept in small area or any other corner of your room. 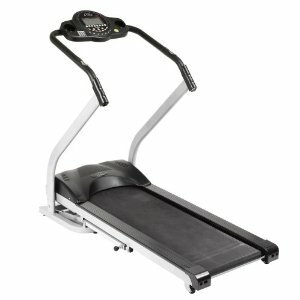 Carl Lewis Treadmills is also having MOT566, MOTC99, MOTY5, and other models. Carl Lewis MOT566 treadmill can be folded and kept in any place. It has six programs already set in equipment and another one program can be manually configured in this machine. In this MOT566 treadmill, you can measure your pulse rate. It basically works to reduce your body weight. It is also having wheels with the help of which this fitness equipment can be transferred from one place to another place. Carl Lewis MOTC99 treadmill is suitable to those who do not know much about this fitness equipment. It is also less expensive. It is also having system to measure calories, heart beat, and body fat. There are also state of the art devices in some treadmill machines which includes calorie counter, and other advanced devices. These are equipped with high priced treadmill machines. These features normally do not include with treadmill machine of low price. It also offers an awesome warranty to equipments purchased by you. It normally offers about twelve months warranty to its fitness equipments which also ensure you before paying for these equipments. Its reliability, exotic designs, fine blend of quality has always attracted customers towards these equipments. Carl lewis fitness MOTP12 need support and repair. I need a new motherboard. Who can fix that?